We are finishing the series on healthier foods for women today (managed to do it in 4 posts rather than 5). Below are foods that will help you to reduce your cholesterol. * Oatmeal: a great food for reducing cholesterol, oatmeal also has lots of vitamins E, C, potassium, and Omega 3-EFA's. * Soy: soy has been shown to not only significantly lower bad cholesterol, but also to raise good cholestoral. Use soy milk, tofu or edamame for best results. * Almonds: with lots of polyunsaturated fatty acids, almonds will help to lower cholesterol in your body. 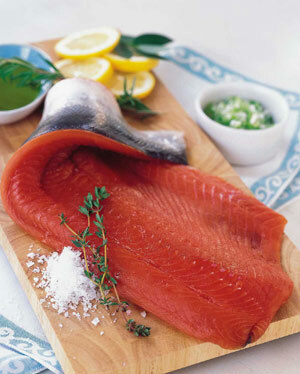 * Fish: find fish rich in omega-3 EFA'ssuch as mackeral, salmon, tuna and trout. * EVOO (extra Virgin Olive Oil): this variety of olive oil is less processed, and will help lower cholesterol and is high in anti oxidants. * Unsaturated fats: replace saturated fats in your kitchen. try using canola, corn, safflower, or soybean oils. * Cranberry-grape juice: Cranberries raise good cholesterol while grapes slow down the bad cholesterol's oxidation. * Pomegranate juice: reduces cholesterol plaque build-up and reduces plaque in your arteries.